One of the most important decisions you’ll make when selling your house is what price to list it at. If you are serious about getting offers and selling your house, than you should pick a price that is close to the expected market value of your home. Click here to get a FREE Comparative Market Analysis no your house today. By looking at how much other nearby homes sold for and comparing them to your own home, we can come up with a pretty good estimate of what your house will sell for as well. It sounds simple, and sometimes it is. But sometimes there just aren’t enough good comps, and that’s when we need to start doing some research and making adjustments. So what is a good comp anyway? Want an Instant Valuation on your Home? WHAT IS THE PERFECT COMP? A perfect comp is immediately next door to your house. It has the same floor plan, identical amenities and features, and it sold yesterday. As you can see, the perfect comp probably doesn’t exist. When we can’t find any perfect comps, it’s time to start loosening our criteria to see how close we can get to perfect. Here are the things we consider when looking for good comps. We generally try to stay within a 1 mile radius when looking for comps, but the closer, the better. In fact, if possible we want to try our best to only include comps that are within the same tract and subdivision, school district, and even on the same kind of street (1 lane vs. two, controlled intersections, etc.) as your house. Two identical houses located on opposite sides of a freeway can have drastically different sale prices. There is simply nothing more important than “where” your house is located when determining value. The buyer, the buyer’s agent, and even the bank’s appraiser will all take this into consideration, and so should you! Like I mentioned above, the perfect identical comp probably doesn’t exist, so finding similar ones is the next best thing. The best comps are similar to your own home in terms of bedroom and bathroom count, square footage, construction materials, attached or detached garages, etc. We also consider the lot size and finishes on the home such as siding and roof materials. After considering all of these things we’ll pick the most similar comps for determining the value for your house. AMENITIES UPGRADES AND FEATURTES, OH MY! Two houses that look similar on paper can sometimes turn out to be quite different when you take a closer look. A swimming pool, new kitchen, or fancy deck can make a big difference in desirability, and thus, market value of your home. Another thing to keep in mind when looking at comps in different neighborhoods, are the differences between HOAs. Key things to pay attention to with HOAs are the fees, services, upcoming special assessments, and of course, LAWSUITS. The age of the comp refers to how long ago it last sold, not when it was built. The more recent a comp is, the more weight we give it in determining value. In fact, we usually try find comps that all sold within the last 90 days. If there aren’t enough comps in the last few months, then we can start using comps up to 180 days old. Seller’s often make concessions such as crediting a buyer for requested repairs or closing costs. Since these concessions effectively lower the price that a house truly sold for, we need to subtract them from that comp’s sold price. Concessions are reported to the MLS, so your agent will be able to find that information. This is the unique knowledge you or your agent may have about the home or neighborhood that affects your home’s value. Maybe your house is the only one in the neighborhood with a basement? Or, maybe your Realtor happens to know that the HOA is currently low on cash reserves, making your property ineligible for FHA financing? Choosing a list price for your home is not ALL about expected market value. You should also consider how your home stacks up against the competition by evaluating the other Active Listings in the area. Take a good hard look at what is currently for sale in your local market and assess how your home stacks up against the other listings. In what ways is your home superior or inferior? Just take an honest inventory of your home’s strengths and weaknesses, and price accordingly. Foreclosures, Short Sales, and REOs often sell for less than standard comps, depending on the market. The sale process for foreclosures and short sales can be long and disappointing for many buyers, which can lead to a discount for someone willing and able to go through that process. Also, these properties tend to have a lot of deferred maintenance, which can also leads to discounted sale prices as well. If your home is in great condition, than these would not be good comps for you. 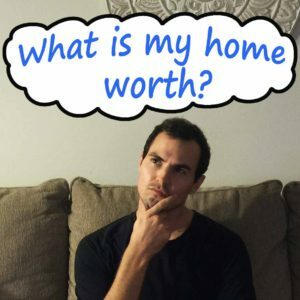 Posted in buying, Real Estate, selling and tagged calcualting upgrades, comparable market analysis, comps, get my home value report, home value calculator, home worth, how do i find comps, what's my house worth.